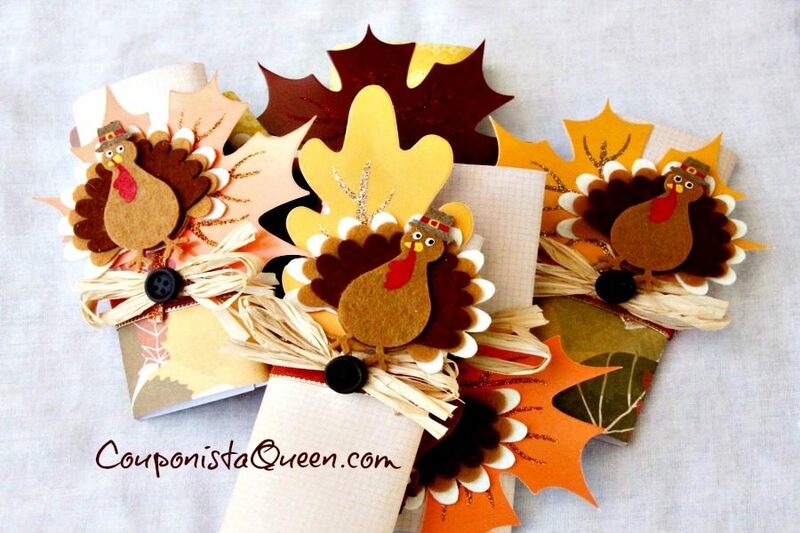 Your guests will “gobble” up these cute as can be favors! 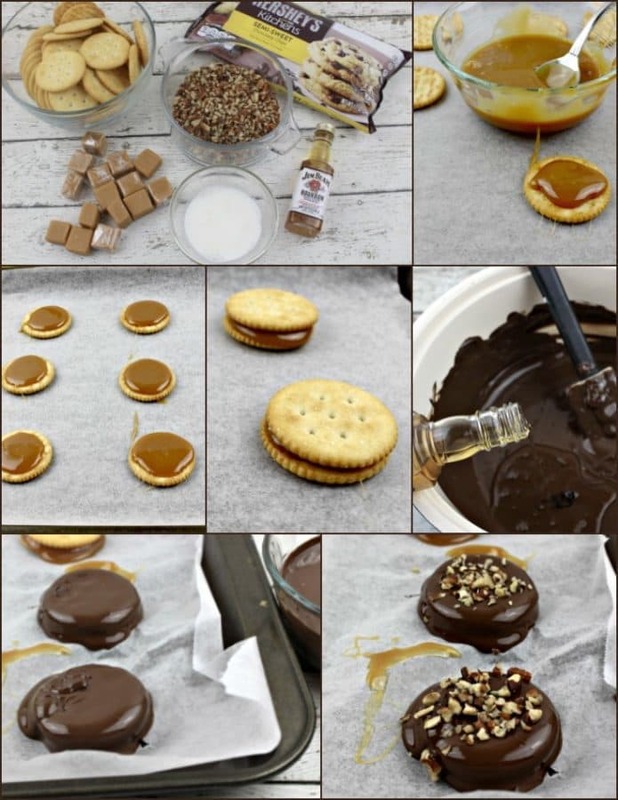 Use any full size flat candy bar. We used Hershey bars! 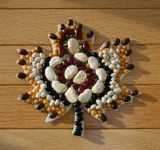 Perfect for accenting your table as a favor or use also as a place card. 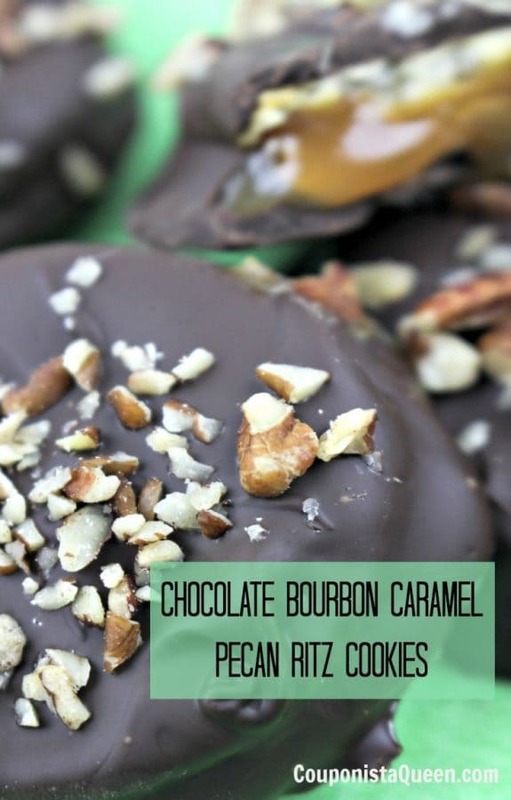 These are really easy to make and will be oohed and aahed over while your guests wait to fill their plates. Enjoy! * all craft items were purchased at Hobby Lobby. Take the 12×12 paper and fold it in half. Then fold it again in another half. This brings the squares down to 6×6 (inches). Then trim down one of the sides. Your final “square” will be a 6×4.5 (inches). Place candy bar in the middle of a square. 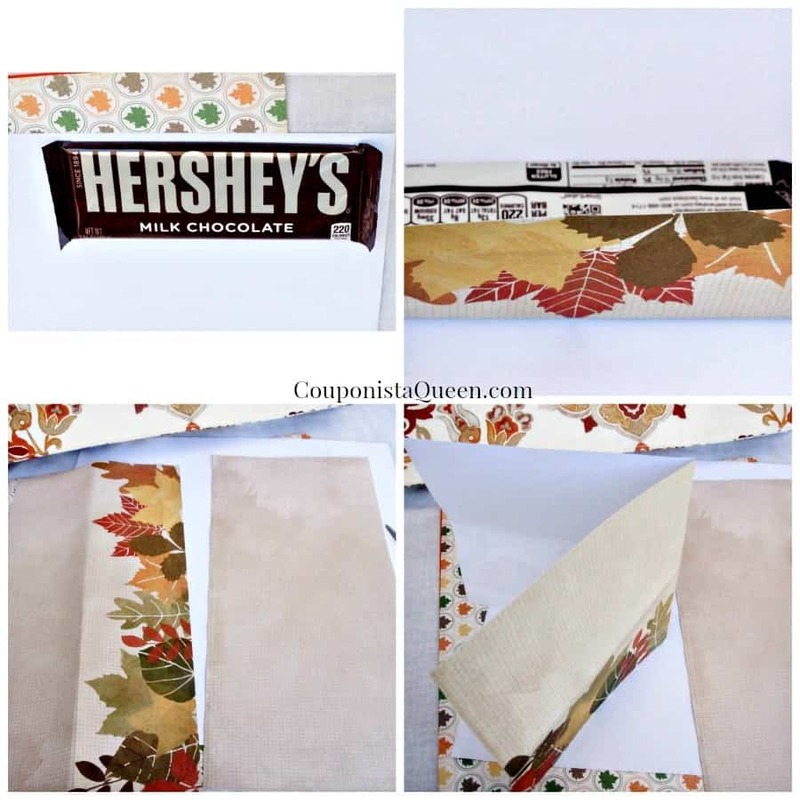 Fold each of the sides around the candy bar. Glue the two pieces of paper together. Be sure you do not glue the paper to the candy bar. You want to have the ability to take the candy bar out of the party favor. Lay a piece of ribbon flat on the table. Place the candy bar/paper on top of the ribbon. Glue the ends of the ribbon on the back side of the candy bar/paper. Flip the candy bar/paper over to the front. This will be the side you decorate. Glue a fall raffia bow on top of the ribbon. 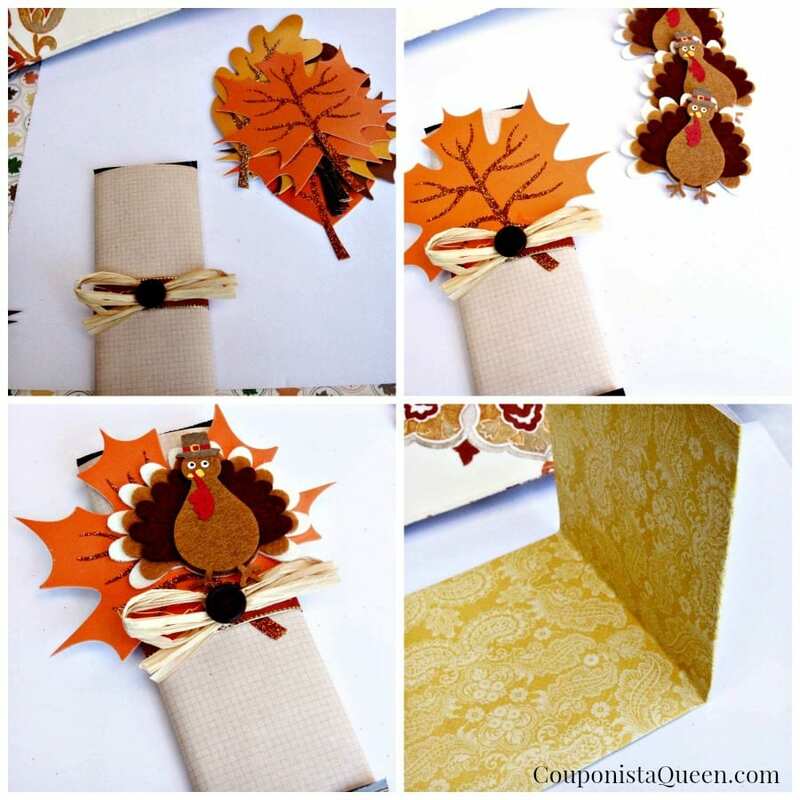 Glue a paper leaf (be sure to put glue on the stem) and slide it into the ribbon. Press firmly on the paper leaf so it sticks to the paper. 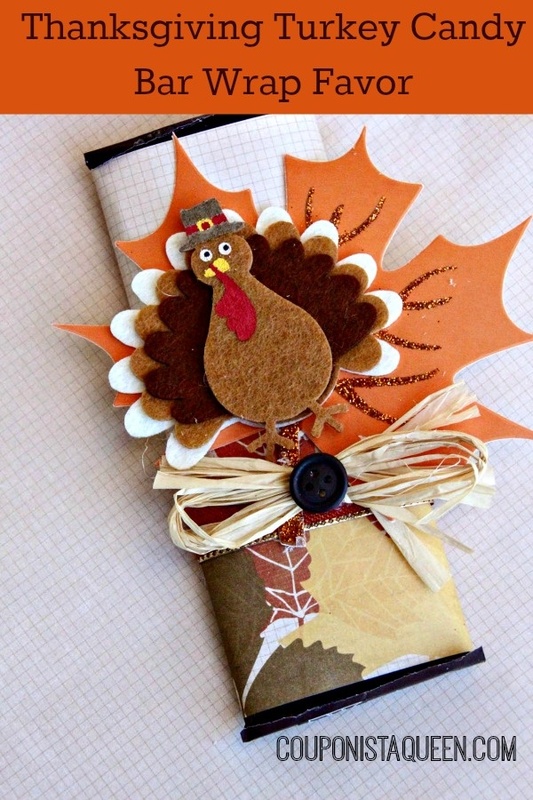 Add a felt turkey sticker. 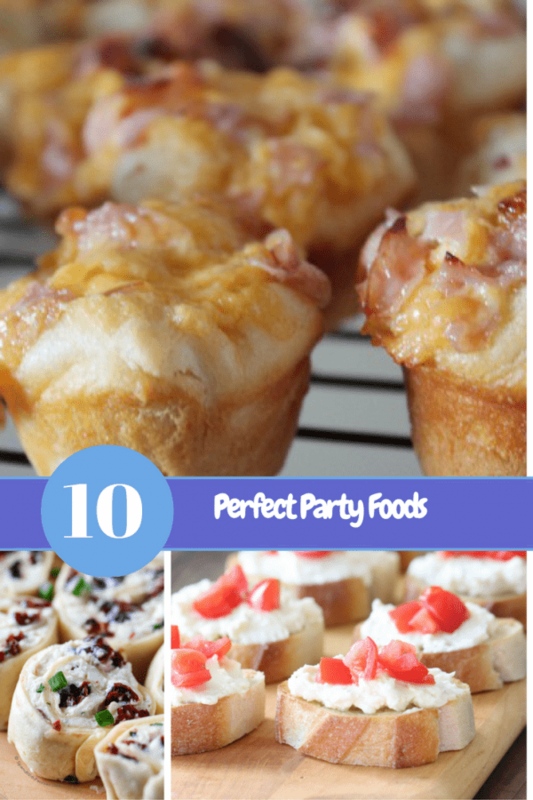 Repeat until you have the amount you need for your party/dinner guests. And that’s it! 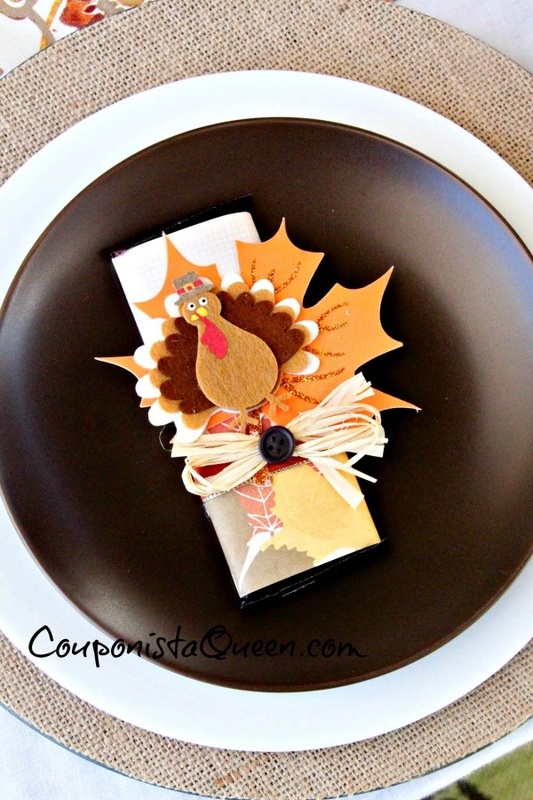 A super, easy Thanksgiving party favor your guests will love. And, you can also use these party favors as a name place setting at the table. 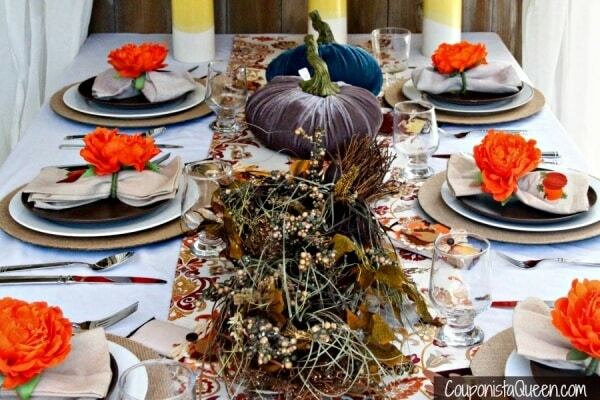 See how they look in our Rustic and Warm Thanksgiving Fall Tablescape! A rustic yet sophisticated table is one of the trendiest looks for Thanksgiving and Fall dining. The setting is homey and evokes the idea of family togetherness blended with the formality that the Holiday inspires. Using fancier items with the inspiration of nature and Earth’s bounty creates a welcoming yet festive table that your guests will be pleased to dine at. Supply and decorative links are provided so you can replicate this look, or use it as inspiration and find things that you already have to make your table your own masterpiece. Even using items from outside, like twigs and acorns, can bring the setting all together. Kids can gather pretty leaves and add them to a clear glass vase, for example. Use your imagination, get out grandma’s china, and make some new memories. Enjoy, and have a great Thanksgiving! Place white linen tablecloth across the table. You can always use an orange or brown tablecloth as well. Go with what you like! 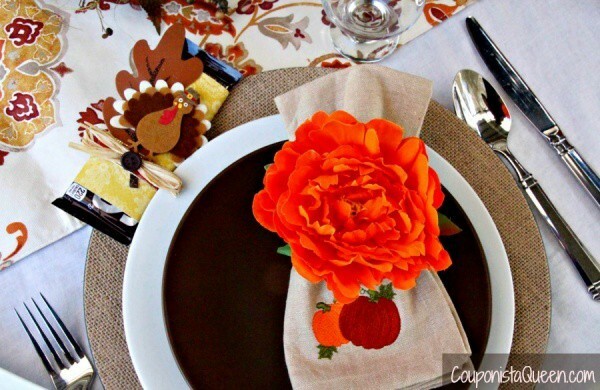 Add a fall-themed table runner, and place it in the middle of the table. I found this particular fall table runner at Home Goods. You can find them there, Kohls, Target or online in a huge variety of styles and patterns. For the center decorations, I placed a Harvest/Fall themed swag in the center of the table. I added an assortment of plush/velvet pumpkins on the side of the swag. Check out similar swag ideas for inspiration. Set the table. First, lay down the linen chargers. Add a white dinner plate, followed by a brown salad plate. Place the silverware at each place setting (fork on the left and the spoon and knife on the right of each plate). 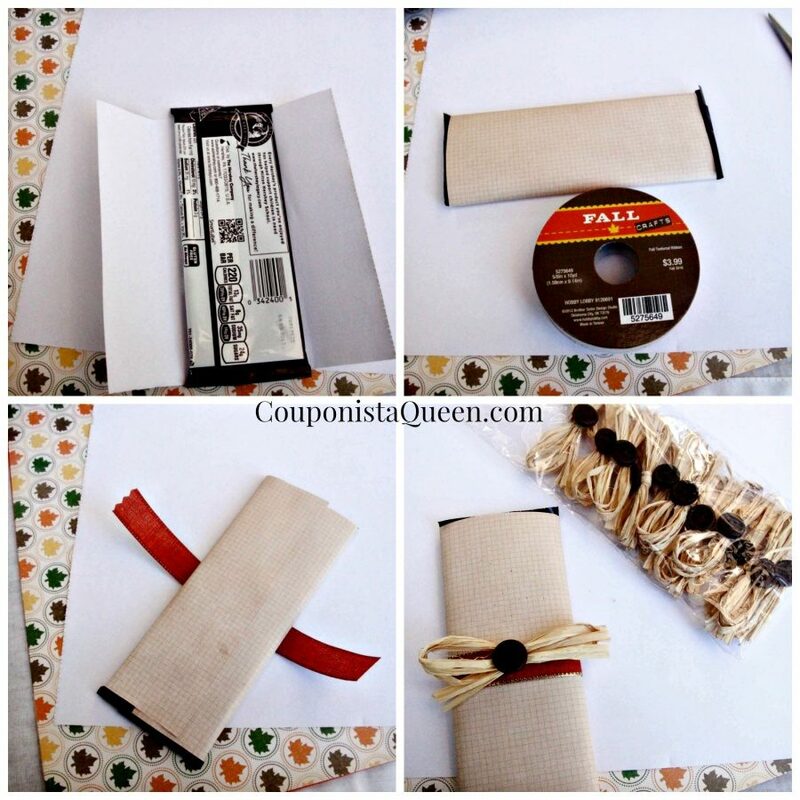 Taking a brown linen cloth napkin, fold it in half and slide through the fall napkin ring. Straighten the cloth napkin, and then place it on top a brown salad plate. Repeat this process until you have completed the desired amount. 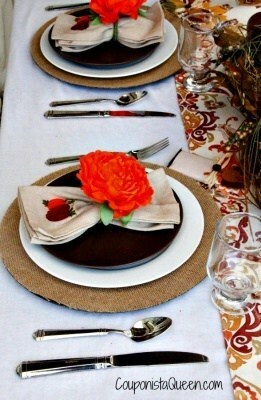 Don’t forget to add a glass to each place setting. For additional fall fun, I added a few tall yellow vases found at Target. 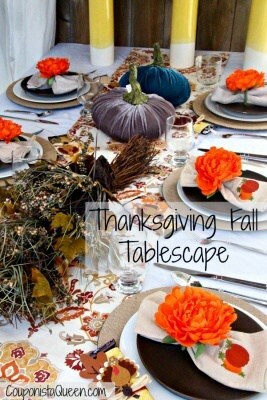 I placed them towards the end of the table and placed fall leaves inside each vase. Don’t worry if you don’t have enough room for additional decorations. Your food will also play an important roll in your Thanksgiving tablescape, and help dress the table and set the mood — after all, you are there to eat, drink, and enjoy. 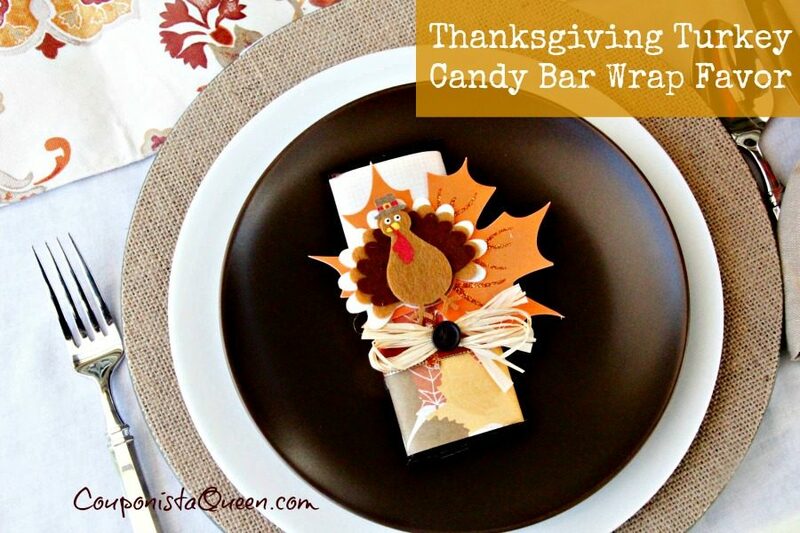 Add the Thanksgiving Turkey Candy Bar Wrap Favors to your table and prepare to entertain your guests! Couponista Queen was compensated for this post. All opinions and content are Couponista Queen’s own. Check out the exclusive SALE on Mockmill Starter Kits! Mockmill is offering 3 special Milling Starter Kits just for you, including a gluten free option with Maize, Buckwheat and Tefft! The cost is only $179 which includes shipping! The Mockmill alone sells for $229, and these kits include the Mockmill PLUS a variety of grains ready to use PLUS the essential book, Flour Power! ORDER NOW Use coupon code couponistaqueen to get the $80 discount. A KitchenAid mixer was used with my Mockmill, but it will fit most stand mixers that take attachments, including Kenmore and Elextrolux. When I was a kid my mom went with the lady across the street to a COOP that had a mill, and they ground their own flour. It was the early 1970s and all kinds of stuff like this was happening, some fortunate (fresh bread, music) and some not so fortunate (macrame, velour). 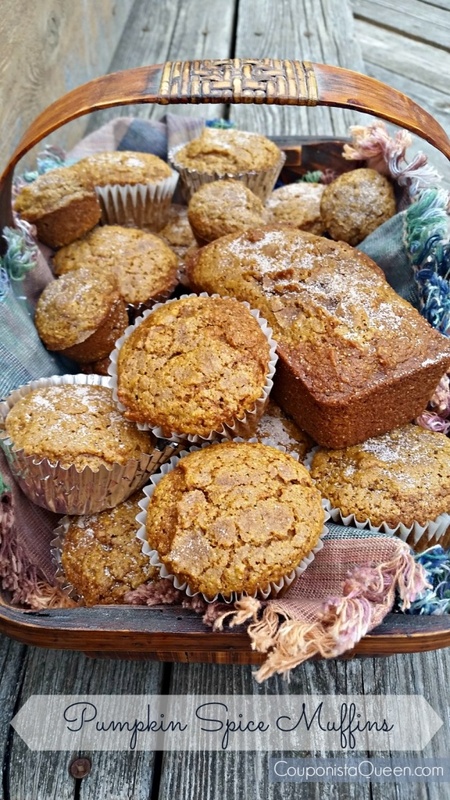 Her flirtation with fresh milled flour ended when the neighbor moved, but I never forgot the light-as-air bread and cakes and the heavenly taste. Ahhhhhhhh! I have baked plenty of stuff from scratch through the years, always relying on the standard flours that are sold at the grocery store. While they produce perfectly adequate results, I always wonder about how healthy that flour really is, especially in light of the recent E-Coli flour recalls. Plus I would love to be able to try milling different things like beans, corn, etc. 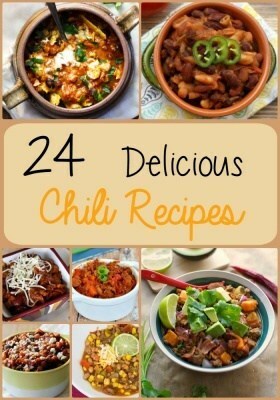 and incorporate some healthier options into our diet. Enter the Mockmill. I am NO pioneer woman who is going to be grinding stones together or sweating to grind anything let me tell you. BUT I was reassured that in fact while this mill was not itself electric, it attached to my Kitchen Aid mixer which IS electric. So I decided to venture into the realm of fresh milling. 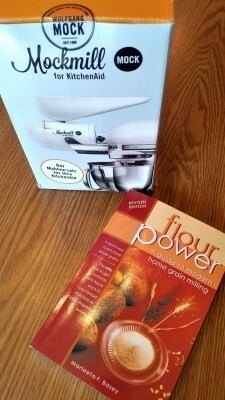 I got the Mockmill and a great book Flour Power. I am thankful for that book as I am clueless when it comes to the subject and this book was easy to understand and full of great information. I felt flour empowered! The mill itself is easy to attach to my KitchenAid. It literally took me 30 seconds. It is sleek and well constructed, and it perfectly marries with my mixer. Enough admiration, it was time to grind some stuff! I started with a cup of plain white rice in order to clean the stones. On the first use, some flaking of the stones occurs and I wanted to use something cheap that I could throw away, plus I wanted to experiment with the grinding adjustment. After dumping that initial grind out, I was ready to mill some grain! I decided for my first time out that I would not get TOO crazy, so I went with some Hard Red Wheat, which is great for overall use. 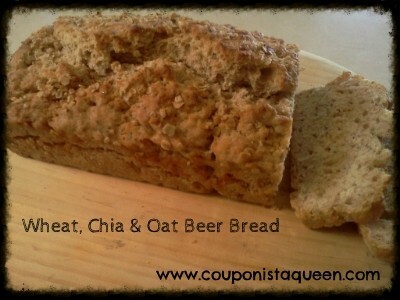 We love the taste and texture of whole wheat and don’t have any gluten issues in our home. 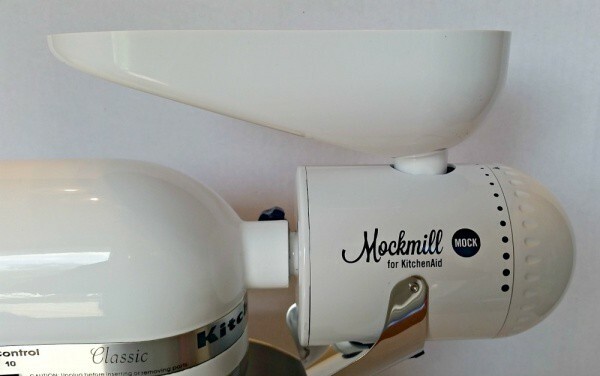 The beauty of this Mockmill is that you can grind just about ANY non oily grain. Here’s the actual grinding in action. I set my mixer on the recommended speed of 9 or 10 (I went with 10) and I poured the grains in the self feeding hopper. It took a few minutes to grind the amount of flour I needed, but I went ahead and did a full pound to see how long it took and how the mixer handled the load. I did a pretty fine grind as I wanted texture BUT fine flour to make muffins with. It took a total of around 5 minutes to grind the full pound. The mixer did not labor at all, and was NOT over hot at the end. I have done worse beating heavy dough many times. I ended up with perfect flour! I did include gram measurements for the flour in the recipe since fresh ground flour contains more air than store bought and the measurements can be off. (Because it has not settled yet). 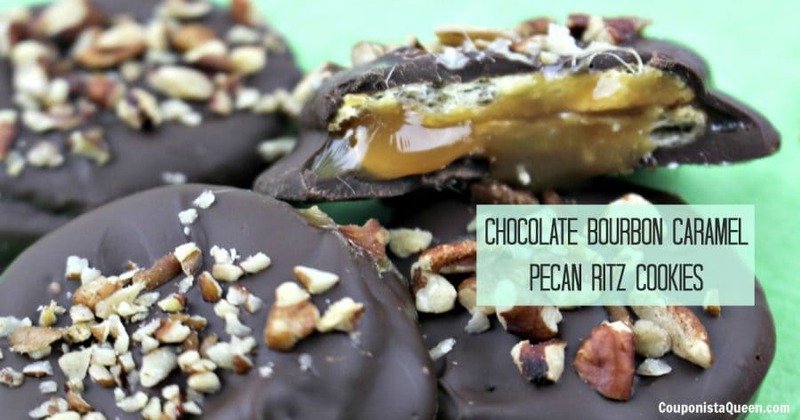 Here’s the recipe — and it turned out GREAT! Definitely a keeper! 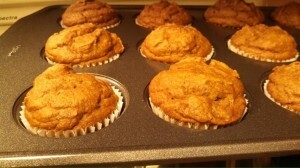 Moist and light, not heavy at all with perfect pumpkin flavor and just enough sweetness. Preheat oven to 350° F. Line muffin tins with cupcake papers or spray the pans you will be using with cooking spray. The baking spray works best as it contains flour. Cream the eggs and sugar together till light. 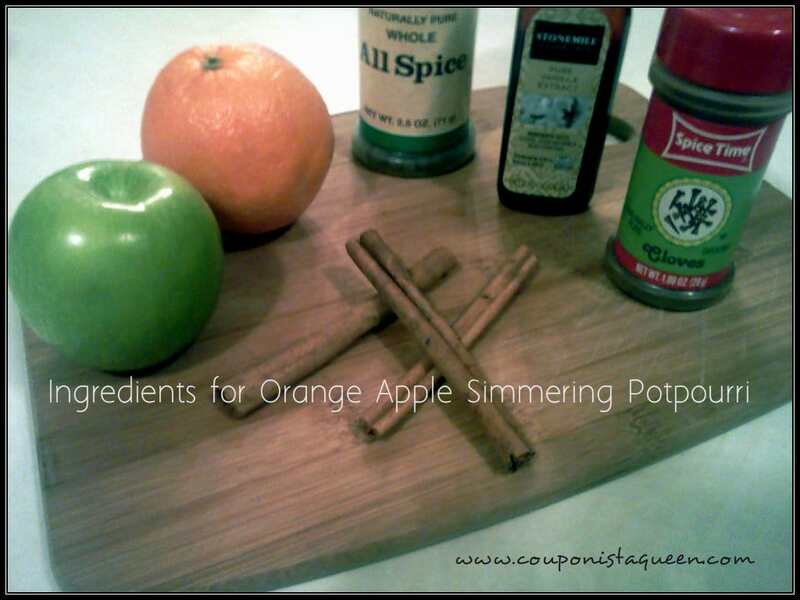 Add the oil (or applesauce) and the pumpkin and mix together well. Combine all dry ingredients together, then gently blend into the wet mix. Do NOT over beat the mixture as it will make the dough tough. You just want to mix till combined (see image of mixed batter). Fold in nuts, craisins, or raisins. Allow batter to rest 2 or 3 minutes before filling pans. I use an ice cream scoop to make it uniform and easy. 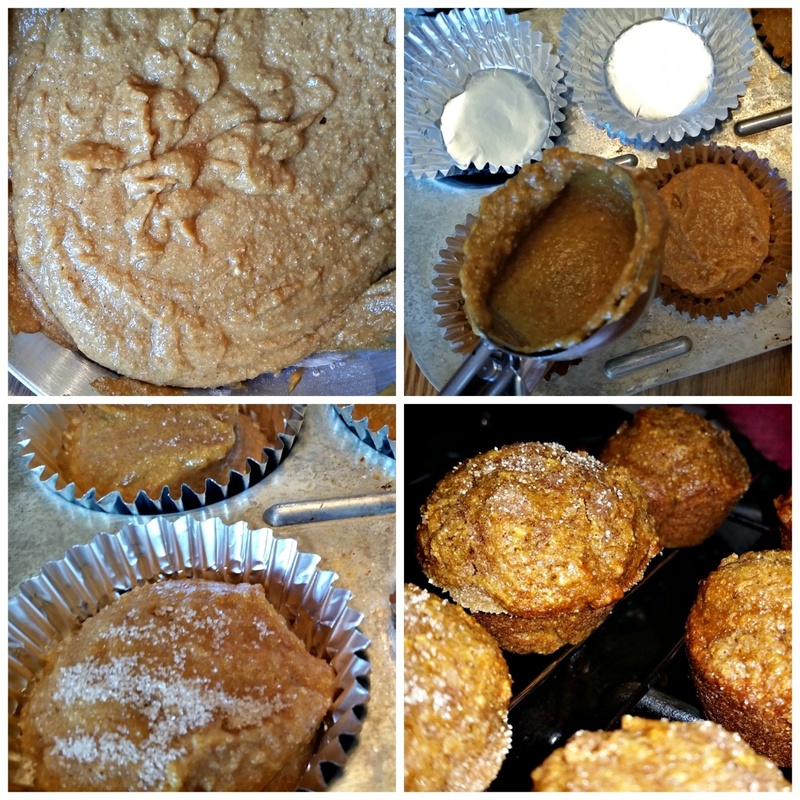 Fill mini and large muffins to 3/4 full. For loaves, divide batter evenly between pans. Top with cinnamon sugar mixture. Bake in 350° preheated oven till done. Start checking if done 5 minutes before these times as ovens will vary. Mini muffins approx 20-25 minutes. Regular muffins 30-35 minutes. Tops will spring back when touched when they are done. Mini loaves 40-50 minutes. Large loaves 60-70 minutes. To check if done, insert a toothpick in center, if clean, they are done. Cool all in pans for a few minutes before transferring to a wire rack to completely cool. Store covered 2-3 days. Freeze to enjoy later! Approximate Yield: 36 mini muffins, 18-24 regular muffins, 2 large loaves, 8 mini loaves. I like to divide it and make some mini muffins, regular muffins, and mini loaves at the same time. They can all bake together, just watch the times so you don’t over bake, and you may want to rotate half way through to even the baking. I have to say, the Mockmill was a pleasure to use and easy. I LOVE the idea of knowing exactly where my grains come from, and I am looking to local sources. I can adjust the amount and the fineness of the grind with the turn of a dial, which is nice for milling all kinds of things. I want to try corn next! Then buckwheat! Check out the Mockmill — Through 8/31/16 it is a great value for just $179.00 (with my coupon code couponistaqueen ) Shipping included in price! 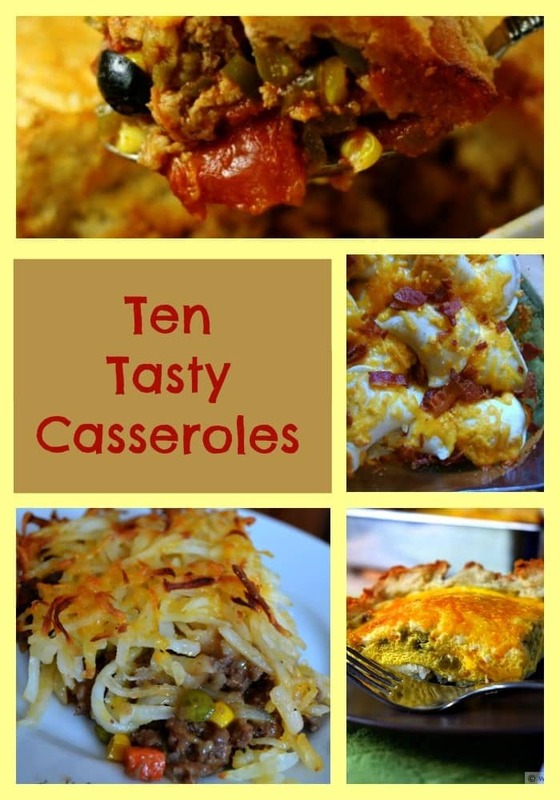 These 10 Tasty Casserole dishes will surely become favorite meals in your household. Casseroles are an excellent way to use up those leftovers in your fridge. In fact, once a week my mom made a “kitchen sink” casserole. It was so named because she used everything but the kitchen sink in it. We didn’t waste things, because we didn’t have anything TO waste. I come by my frugal ways quite honestly! Casseroles are easy to make, freeze well (so perfect to make ahead), and are great dinners especially in the fall or winter months. Try some of these casserole dishes to find out which ones will be your new favorite. Chicken Divan – THIS has been a favorite since I was a kid! I’d like to start by saying, I am Princess Thanya and I am baking impaired. I long to be the Mom with the chewy cookies, or just right brownies, the perfect cupcakes, heck even the nicely baked refrigerated dough rolls, but alas I am NOT that mom. If it’s something to bake I will under cook it, or burn it. But I got sick and tired of reading all these posts everywhere about how easy this recipe is to make and make (one place being the Duncan Hines Website). I wanted to join in on the fun! 1 box Duncan Hines or any brand cake mix. Pre-heat oven at 350. In a large bowl, empty the box of cake mix and mix with the pumpkin pie filling. I did not use the whole can of pie filling. I used about 15 ounces. When you are mixing you will start to see when it has reached a good consistency. I have read people using the whole can, its up to you. I used about 15 oz and it was perfect. Also I used yellow cake mix, someone posted saying she used chocolate cake mix cause that’s what she had on hand and everyone loved it so again its up to you. THAT’S IT! 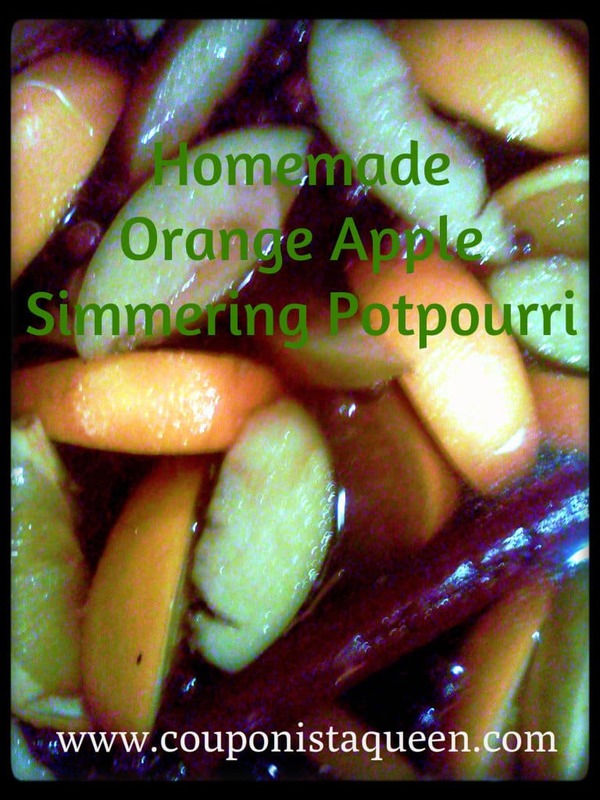 No sifting, no measuring, no cracking, no melting, mix the two ingredients and you are DONE! 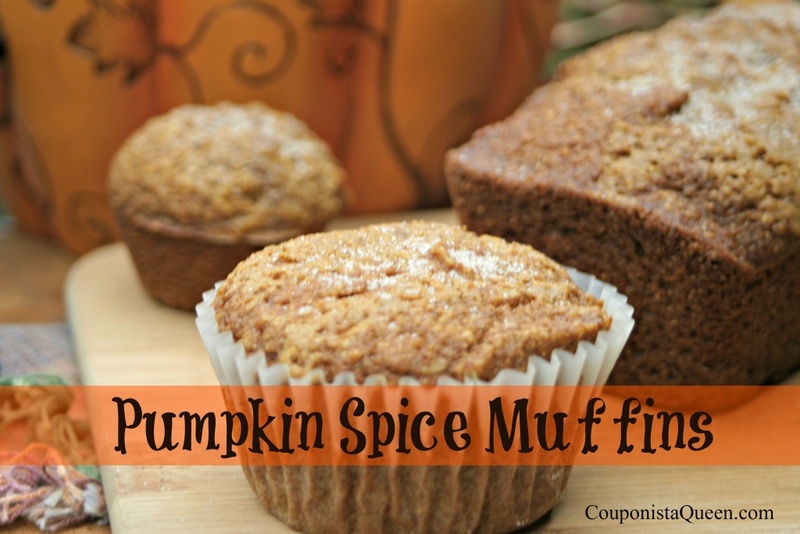 Get your muffin pan out and liners and fill them up! Bake for 15-20 minutes or until a lovely golden color and a toothpick comes out clean. Makes 1 dozen. My hubby warmed one up and slathered it with cream cheese this morning. Big hit! 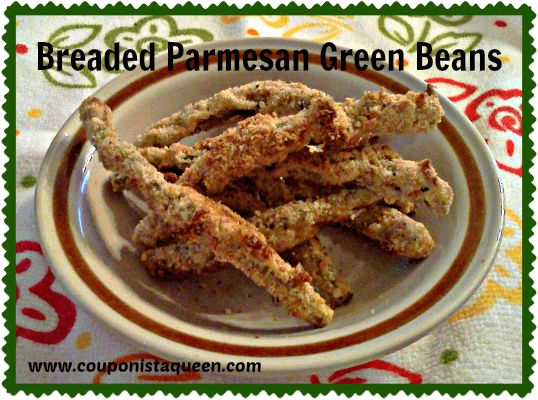 This Breaded Parmesan Green Beans recipe is one I came up with for a different way to enjoy green beans. 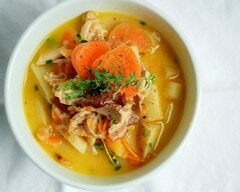 It is really easy and so good there are NEVER any leftovers. In one bowl, whip together 2 eggs and 2 tbsp of mayonnaise. In another shallow bowl or plate combine 1 cup Italian bread crumbs, 1/4 cup Parmesan cheese, 1/2 tsp garlic powder, 1/4 tsp salt and 1/4 tsp pepper. Dip green bean in egg mixture, then roll in bread crumb mixture and place on the foil-covered and sprayed baking sheet. Continue till all green beans are coated. Bake on center oven rack for 20 minutes. Check half way through and turn them over carefully so they brown evenly and the bottoms don’t burn. After the 20 minutes, make sure they are done to your liking. We prefer them still a little crunchy (20 minutes) but you may want to cook them an additional few minutes to soften more. 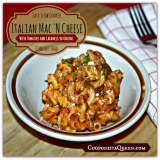 Serve immediately with your favorite main course! These are also good dipped into some Dijon mustard. 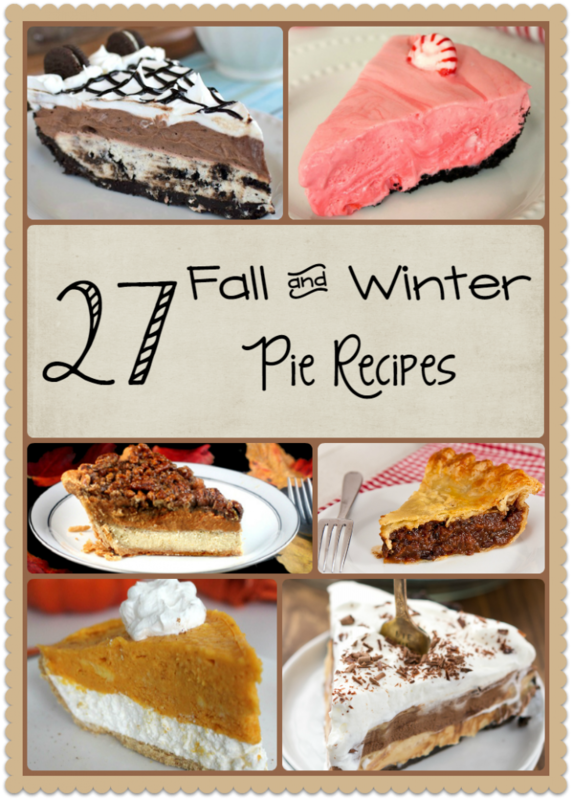 Perfect for a cold Fall or Winter day. Here are 5 recipes to make homemade hot cocoa and hot chocolate. 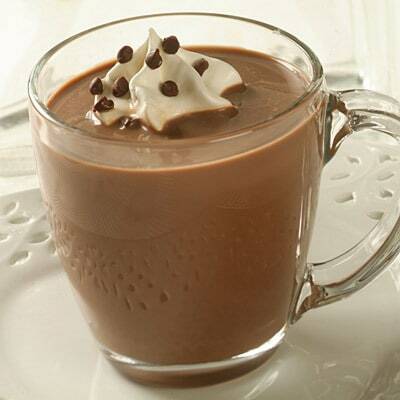 Flavored Hot Cocoa Mix Recipe — LOTS of variations you can do with this one! 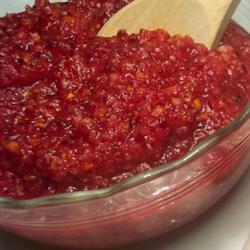 You need 1 12-oz package of washed and drained fresh cranberries and 1 Orange, peeled and quartered with all seeds removed. Add all to a food processor and pulse till coarsely chopped, stopping to scrape the sides to ensure an even chop. Add 3/4 to 1 cup of sugar or sweetener of your choice (My parents like Splenda). Add more or less to taste. Stir well and refrigerate at least 2-hours before serving. Makes 2-1/2 cups. 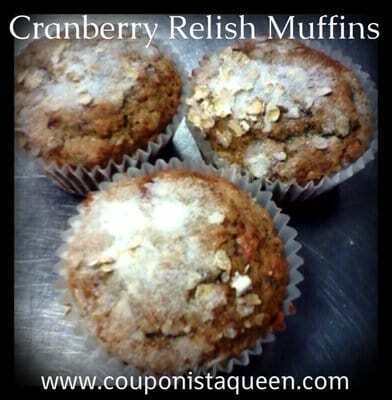 You can freeze any leftovers up to 2-months but try this recipe for Cranberry Relish Muffins to use the leftovers. Delicious!